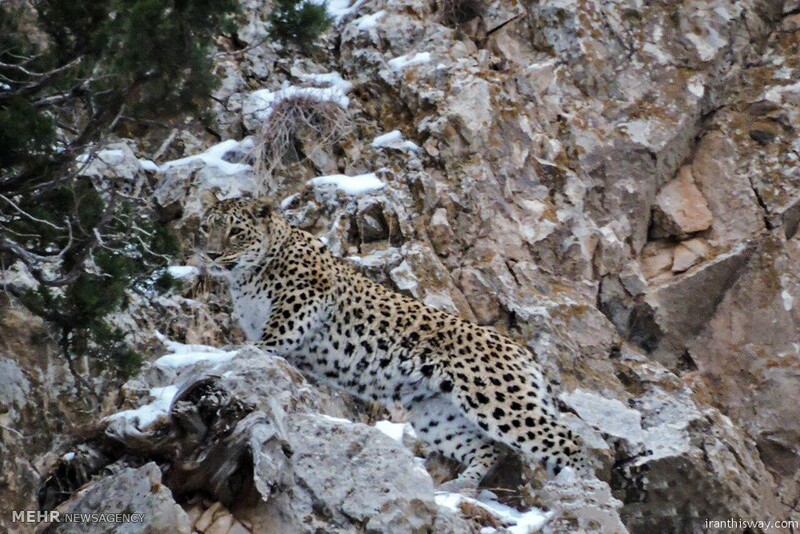 Photo: leopards in Iran - IRAN This Way: Become familiar with Iranian lifestyle! 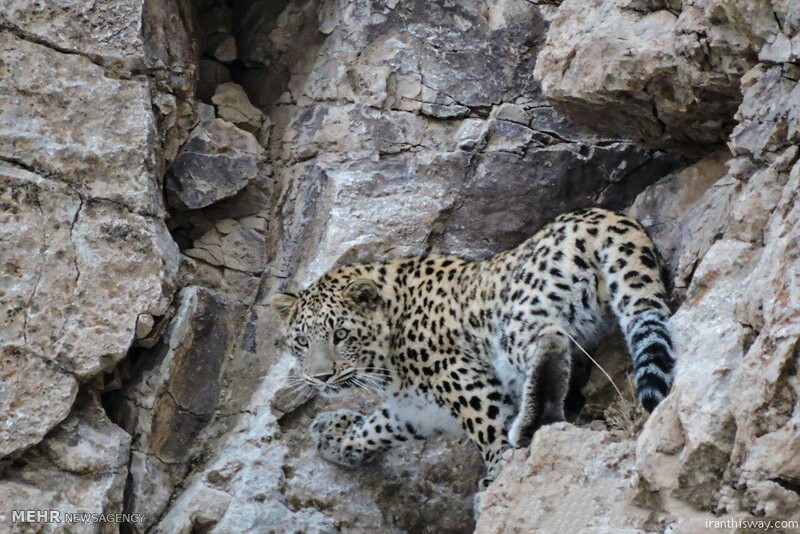 A leopards and her cub were seen today at Parvar Protected Wildlife Area in Semnan province. Parvar protected area in Semnan province is in between two different climate: desert and forest. The area of Parvar is more than 66,000 hectares. Persian leopards are the largest and of all the leopards. Their total body length (including tail) can be up to 190cm and their weight up to 70kg. The body is muscular and flexible. The normal life span of leopards is between 8 to 12 years in the wild. It climbs trees or cliffs effortlessly, its leaps and spurts of speed are impressive, and it is a good swimmer. 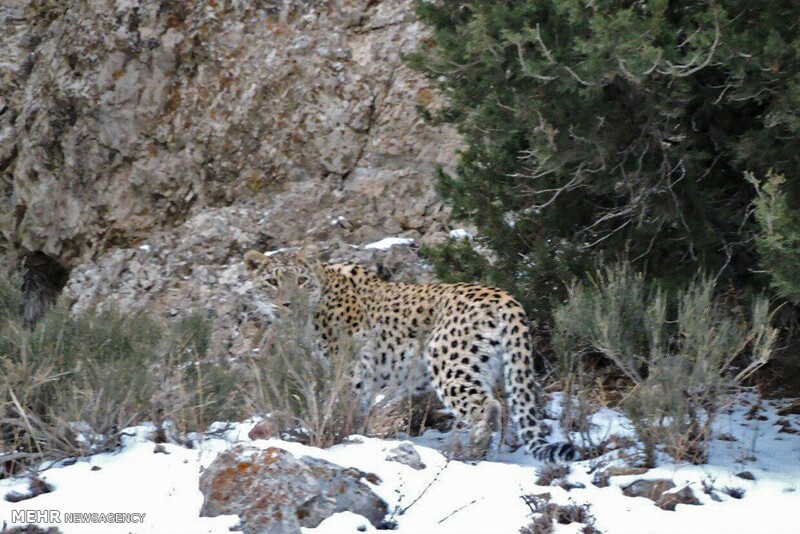 These traits make Persian Leopard ecologically flexible and increase its adaptability. Female leopards usually only have one or two cubs, though they can have up to six in a litter. The female raises her young by herself, and once weaned she will lead them to food but otherwise does not spend much time with them. 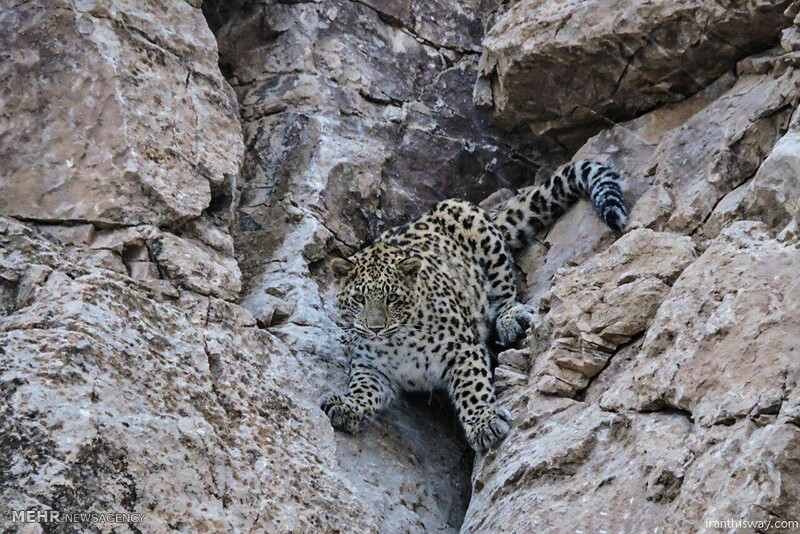 Leopards are mainly found in the Alborz and the Zagros mountain ranges. These ranges cover a vast area starting from the borders with Turkey, Azerbaijan and Armenia, extending to the Caspian litoral region and on to Turkmenistan and western parts of Afghanistan in the Alborz range. 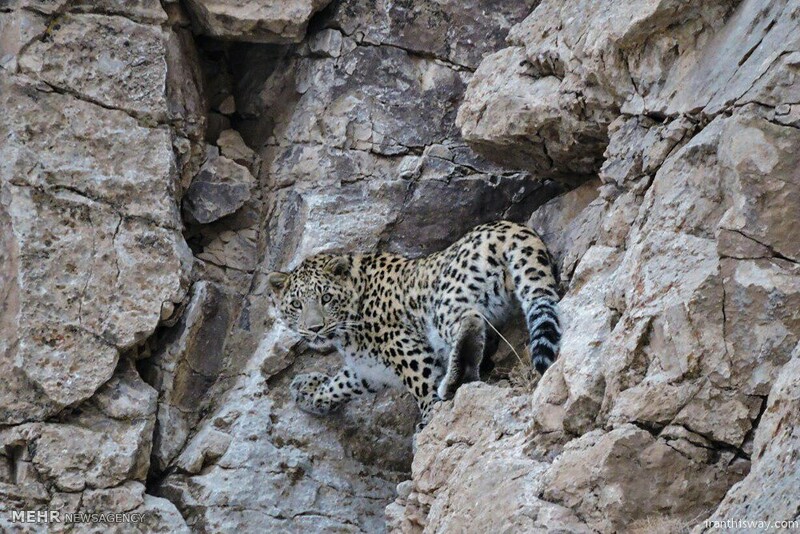 Along the Zagros range, leopard habitats extend to the south of Iran, close to the Persian Gulf. Virtually all country, except the vast deserts of Desht-e-Kevir and Desht-e-Lut in central and eastern parts leopards have been sighted. Quite common in protected areas (e.g., Tandooreh, Sarigol, Bafgh, Golestan, Kolahghazy, Touran, Kavir, Khojir, Khabr and Bamu national parks; Kiamaki and Naybandan wildlife refuges; Jahan Nama, Central Alborz, Varjin, Arasbaran, Dena and Bahram?gur protected areas) and some unprotected lands (Chapur-Ghoymeh, Safee Abad-Dozain or Minoo Dasht, Ramsar, Khaeez and Darestan-Rudbar). / Source: persian wildlife.